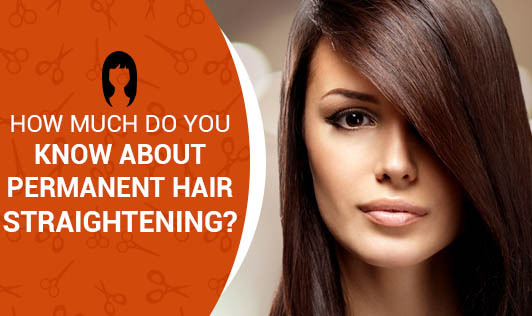 How Much Do You Know About Permanent Hair Straightening? It does not matter what type of hair we are born with, whether curly, wavy, or straight, we are never satisfied with the way our hair looks and end up battling to change the look of it. If you have got really unmanageable hair, then I am sure you would long for smooth, glossy and straight hair. But it can take a lot of time, effort and money to get your hair to look the way you want it. • Sodium hydroxide: The oldest and harshest relaxer that can damage skin and hair. • Guanidine Hydroxide: A little milder relaxer when compared to sodium hydroxide. If you have chemically treated your hair previously, then you should be aware of what chemical has been used. For instance, if you have treated your hair with sodium hydroxide earlier and then you use a thio relaxer, it will make your hair fragile. So you need to be super careful! Does hair straitening damage hair? In simple word, yes. Any chemical process will cause some damage to the hair. It can be slight or disastrous. Before you go to the nearest salon, consider the condition of your hair. Delicate damaged hair won't be able to withstand straightening treatment and can leave it more brittle and fragile. A good hair stylist will check your hair condition as to whether it can withstand the hair straightening system and also check if you have undergone any chemical treatments. They also adjust the chemicals as per your hair type to protect your hair from the damage. A good hair straightening system can give terrible results if handled by an untrained stylist. So make sure that your stylist is well trained and knowledgeable before you hand over your precious hair to them. After hair straightening, do not forget to ask your hair stylist about the do's and don'ts to your hair to protect them from the effects of wrong products that can cause a disaster. There are a plenty of home hair straitening products available in the market. Never try to do it yourself and spoil your look! It is better to leave your hair alone and let the professional do the work for you.